Growing up I always watched my brother eat rice pudding while I ate normal pudding. 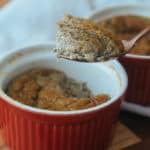 Rice pudding always turned me off, but for some reason this Easy Baked Rice Pudding turns me on! It's thick, creamy, flavorful and really satisfying as an after dinner dessert. If you like rice pudding or indulgent desserts, give this recipe a try! And, I mean that! A lot of people, including myself, often feel like something is missing from your meal without a side of carbs. Maybe it's not as filling and you're just not satisfied. 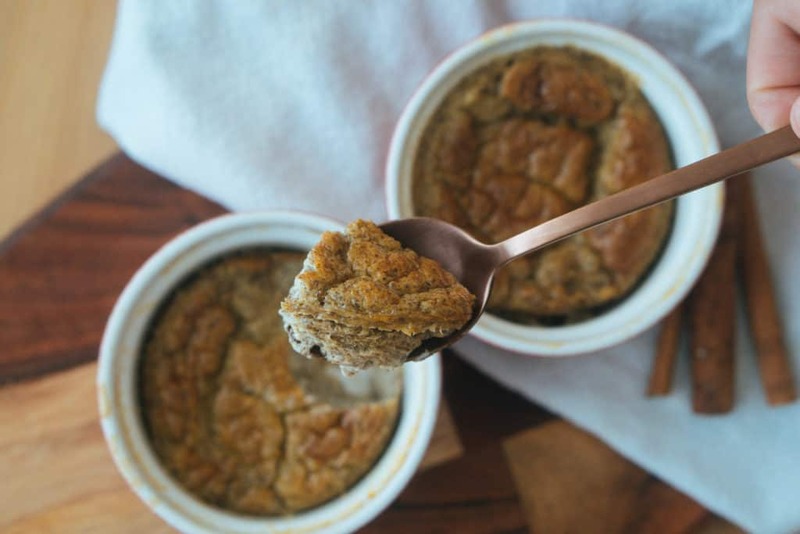 However, this easy baked rice pudding has changed that for me altogether, which is why I love to eat it for breakfast and dessert. It's dense and filling so you feel satisfied after one serving. It's also not overly sweet where you get more sweet cravings and feel like you need to go back for thirds and fourths. Make this low carb rice pudding and let us know what you think! Make This For Dessert Or A Low Carb Breakfast! When Matt first presented this recipe to me and I gave it a try I was filled with excitement for this new breakfast recipe. He quickly corrected me saying it was a dessert recipe, and that also made sense to me. What's better than breakfast or dessert? Dessert for breakfast without the guilt, and filling macros. My personal favorite is the protein cakes, so if you get a chance to make those let us know below and tag us on Instagram! When you're craving something sweet and indulgent you can always turn to this easy rice baked pudding. The hardest part about it is waiting for it to cool, and if we are being honest with ourselves, do we ever wait for anything to cool? While Matt loves it straight out of the fridge I prefer to eat my easy baked rice pudding straight from the oven! 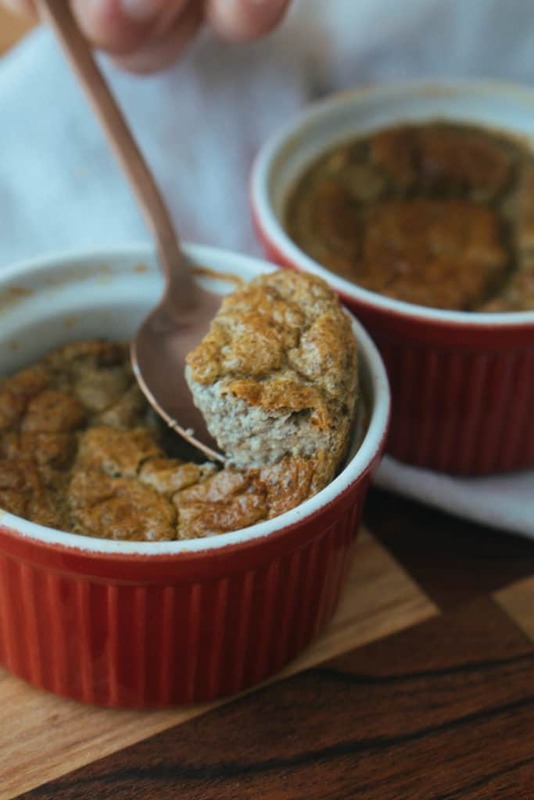 Recipe can be quickly added to MyFitnessPal - Search "KetoConnect - Easy Baked Rice Pudding"
Preheat your oven to 375 degrees and grease three 4-inch ramekins or one casserole dish (11 inch). Combine the first 7 ingredients in a large mixing bowl and whisk to combine. If desired, pulse your chia seeds in a coffee grinder and add to the cream mixture. Whisk in and allow to sit for 10 minutes. Add in the yolks and whisk together one last time. Pour the mixture into your dish(s) and bake for 40-45 minutes. Allow to cool for 10 minutes and then refrigerate for 2 hours prior to serving. Enjoy! Cover the dishes with saran wrap and store leftovers in fridge up to 3 days.